Please share any challenges you have so I can get you through it with ease, and our community can support you and your deeply fulfilling purpose. Welcome to Beautiful You. My name is Becca Starr and I am here to remind you of how perfect and beautiful you already are. You don't need to do much, but I give you some very cool strategies to tap into your potential. And today is absolutely going to help you to do this in a much much bigger deeper way. Today I am giving you the Ultimate Guide to Finding Your Life Purpose. Now this idea, this concept of your ‘life purpose’ is a little tricky for me, because I don't believe we're here to do just one thing for the entirety of our lives. That is not what this means. But what I am going to give you is the deep sense of fulfillment and knowing that you have a purpose-driven business. And that is incredibly important because let me tell you, even what I have gone through just to bring you this episode— You must know that what you're doing means enough. The why of why you're doing something must be deep enough and mean so much to you that absolutely nothing can stand in your way. Because on normal days we have challenges, but as an entrepreneur you have really much more to overcome. It's not the same old same old familiar story that you get stuck in. And it's almost sometimes easier for some of us to do that. Like if it's familiar, even if we’re not comfortable, we would rather stay there than venture out into the unfamiliar. Which is why, when you do this, when you step out of your comfort zone - which entrepreneurship asks of you, to step out of your comfort zone - then you must have your purpose. And let me tell you purpose equals profit. Why is a purpose-driven business so important? Why is it always better than something you might just identify as a great, profitable, or maybe more secure, safe bet successful type of a business? Well, let me tell you, you will never hear me say that the bottom line isn't important. Profitability must be a priority for any business to be successful. Consider your business model as a triangle. The bottom corner is profitability. The other bottom corner is the principles of what your business stands for. You need each of these to have a solid foundation. Your business is not sustainable without a high value placed on each of these factors. What helps you rise to the top? You still have one more very important cornerstone strength of your triangle. What gives you the leverage and the perspective to rise to the top? What I believe is that it is your purpose. Your purpose may change from chapter to chapter in your life, but if you are not living your purpose in this chapter of your life, you need to get in touch with it because the world needs your purpose to be expressed. Your purpose, the shared purpose of your team, and the purpose that drives the business as a whole is going to help you ultimately succeed and rise to the top of what you are offering to this world, in your form of products or services. Now I did a lot of background research on getting things together for you so that I could show you examples of studies that have been done, so that you know that this is more than just a foofy subject. This is something that has been proven by studying some of the world's greatest companies and what makes them successful. I'm going to share a few of those studies with you here today. So, here's what the leading research in the field revealed. Purpose Leadership expert Jim Stengel's 10-year growth study determined that organizations whose purpose is to improve the lives of their customers outperform their competition and the market as a whole. He's the author of Grow: How Ideals Power Growth and Profit at the World's Greatest Companies. Now, if you remember my triangle - principles and ideals - that is such a cornerstone foundation of what's going to help you rise to the top, your profitability. And then your purpose I've put at the top. Now he's saying that in your principles is your purpose and quite honestly, I feel that in your profits is your purpose. Your purpose should be everywhere, because it is why you're doing what you're doing. It is what's going to help you overcome any obstacle that you're facing because your purpose is so great. Purpose Consultant Aaron Hurst is the founder of Imperative. He found that 42% of companies that were not considered purpose-driven, they showed a drop in revenue in a calendar year. But on the other side, 85% of purpose-led companies showed positive growth. I mean, when you see this too, visually, the graph - I hope it helps you to understand and to really get behind this, that this [having a purpose-driven business] isn't just a nice thing to do. This is backed by studies. I'm going to give you one last one, because I think it's a great example of how simple and how easy it might be to overlook or dismiss what your purpose might be. Like, it is sometimes right in front of us. And when I talk about finding your superpowers, they are like the most obvious things sometimes. We can seriously not even acknowledge them because they come so easy for us. But purpose doesn't always mean big a huge swooping saving-the-world thing. What Haley Rushing and Roy Spence have said is that being clear about your purpose, what makes you different, and in trying to help others through that purpose - it gives you the strength to resist copying other businesses and using outdated or overused or stale ideas. What that means is you’re more innovative. You're not following something that may or may not really work for you, because there is no one-size-fits-all. You hear me say that very, very often. I just did a video training and it truly is— It's not about looking at someone else and saying, “Okay, I’m gonna do what they did, because it seems like they’re successful, and it works, and I need something to follow.” It's not about that. There are certain things we can take as far as business structure and marketing and things that just - they are timeless, they work. However, when it comes to what you are doing specifically, and how you are helping your clients and the world as a whole by expressing something that is meaningful to you - that's what will make it successful. Trust me on this. And so, at the end of the episode, I am going to give you a great download link to access so many cool bonuses. You’ll be able to see these studies, you’ll be able to have something to do some writing with, and strategize, by printing these things and having them in hand. It’s the ultimate guide. It's not just let's talk about your life purpose. We are going to give you everything you need today. I'm so excited to bring all this to you! Stay tuned as we jump in to strategies. Are you ready to join our Five-Day Challenge? I'm so excited to tell you that we are starting it again on Monday. 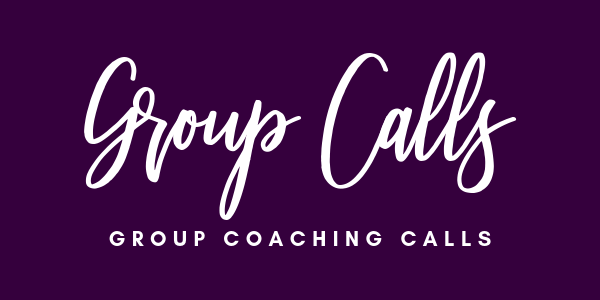 Join us in a group of like-minded women who are all going after their dreams, step by step, micro-action by micro-action. I am so happy to invite you to this. You can find it at www.beccastarr.com/p/free-challenge. Save your spot now and I just can't wait to see you on the inside. Welcome back to the Ultimate Guide to Finding Your Life's Purpose. Like I said, this concept is a little deceiving to me. I don't believe we’re meant to find one end-all be-all purpose that we do until the day that we die. Honestly, the idea of finding one thing I'm supposed to do forever is more frightening than promising. So, if you're with me on that or if you just really are searching for some fulfillment, let's get there. I'm going to give you five steps. I want you to get out of your head and into your heart. One way to do this is to take deep breaths. That usually helps you connect more into your body. And really, we’re trying to get out of this circular thinking going on in our head. I’m going to give you the exact steps in order to get into what means more to you than just the crazy busy thinking that we can do. One other step besides taking some deep breaths, getting out of your head and into your heart, is to ask your invisible team - and that could be the God that you believe in, your angels - bring your invisible team, that amazing resource that you already have, bring them in to this process. You have to be in action. And sometimes it's incredibly difficult to take action because we don't want to take the wrong action. This is pretty typical of a perfectionistic ideal, which truly must be overcome, my friend. There is no perfection in this idealistic sense. It just holds us back. You’re not alone if you let this fear of failure or this fear of taking any action just kind of paralyze you. This affects so many women, most women actually, in some way. 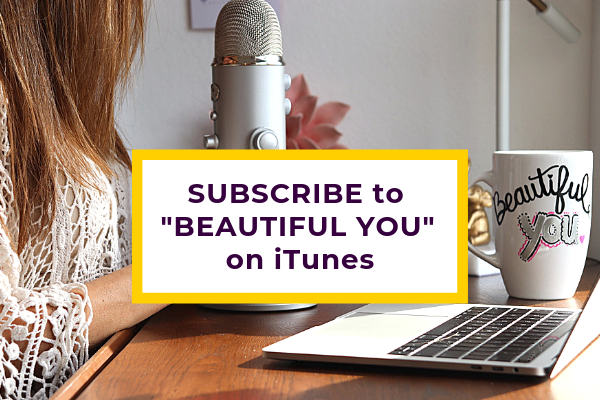 If you're one of these women who do struggle with this ideal of perfectionism, you may want to go back and listen to Episode 32. We discussed how to overcome perfectionism and to stop procrastinating because of it. Here is what I know: the more I'm in motion the more answers I get. And instead of taking big swooping actions that take a lot of time and energy, sometimes money - micro-actions are where it's at. Micro-actions are these small, subtle, sometimes consistent actions. They are what lead us to big changes, being in motion and taking micro-actions. Overall, this is the ultimate way to figure out your life mission. And I'm going to give you very simple small consistent micro-actions. One way to be in motion is to use paper in pen. Writing is an action and it's your most valuable tool in taking the first three steps I’m going to give you here. If you just think about the stuff in your head, you'll most likely end up right where you're starting from now. We’re really good at staying in our head. Inspiration is nice, it feels good, but action is effective. There are two different types of writing and depending on what you think you need in the moment, it's up to you what you're going to need, to have little breakthroughs and just put that pen to paper. The first style of writing is journaling. Just get all your thoughts down on paper. Just get them out of your head. This helps if you need to clear some space in your head. Maybe you're just getting nowhere with your ideas when you're trying to write and have a purpose to that writing. Journaling is writing everything down. There's no editing. There's no judging. There's no right or wrong, just clear all the crap off the top of your head. The other technique you can use for your writing is called ‘intentional writing’. I mostly use this because it just helps me get to a new place and a new perspective, which is usually what I'm seeking. And I don’t know if I just call this ‘intentional writing’ or maybe I've heard it somewhere. Maybe it's a term, I don't know, but I call [it] writing to get you to a solution. You have this intention, a purpose in your writing. This, to me, is called ‘intentional writing’. Like I said, thinking is great. It won't actually get you anywhere. Thinking on its own won't change your life. If you can write with the purpose, the intention of writing the solution and you bring your invisible team into that - you put the pen to paper and you just start brainstorming your ideas. And again, you don't have to edit or judge your ideas. Brainstorming and creating anything is not about editing or judging. It's literally about inspiration and getting inspiring ideas and just honoring that you're getting these ideas [and] putting them on paper. Whether or not you do anything with them, it doesn't matter. It's between you and God and the paper. It's a crucial step in getting to bigger and better things. You have to know yourself and really step back and see what you’re naturally good at. What comes effortlessly to you? In order to do this, it’s actually more challenging than it sounds. Because very often, it's these things about us that are very easy to overlook. List all of your qualities. Think of who you are when you're not struggling, when you're feeling good, when you're helping someone even just a little. It's the minutiae of who you are. It's not always the skills you've learned or things you've been educated on. Your superpowers are even things you are amazing at. They’re things about you that you're better at than most people. Are you empathetic? Do you seem to figure things out easier? Are you somebody that finds it easier to look at the bigger picture, rather than the smaller picture? Or are you somebody that naturally does both? Do you have good luck with connecting people together? For some people, that is a superpower that they have. They just have good luck with that. Do you talk about things that get people excited? All of these things might seem like nothing to you. But if these apply to you, or whatever you're coming up with where you're not in the struggle, where you're feeling really good— And realizing, this is just who you are. You don’t really have to work too hard at these things. They’re your unique qualities and they matter. I know for me, in finding my superpowers, I overlooked what I was naturally, because they weren't these magnificent things. They were actually quite simple to me and honestly, I believed everyone else could do these things or be in the world this way, but for whatever reason they chose not to. And while yes, that is true, people could do these things - it is what makes me special. It's what makes me who I am and how I can help others. I, for example, am a master manifester. Sometimes I call it ‘instant karma’. It can be a good thing and it might not be always this wonderful thing. Instant karma is instant karma, and it's a big responsibility for me. I realized it in my early 20s, I thought we could all do this, but that's not true. It's something that comes natural to me because it's what makes me more of who I am and ultimately how I help you, and in the work that I do. It makes me much better at the work that I do and helps you to realize how easy it is to manifest really big things. And again, like I said, I had certain perspectives or judgments on it, like, “Well, everybody can do this, they just aren't. You know, they’re just maybe, for whatever reason they chose not to.” And then I began to realize, “Huh, I don't know that everybody has these tools or this natural ability. Maybe they need the tools.” It was coupled with some beautiful people in my life pointing it out on a regular basis. It's something that might not come right away. Just pick the more obvious ones and trust, that as you’re seeking things that you're good at, it could be a long-term process. But it only means you'll find out more about yourself. There's not just one superpower you have. You have superpowers. Whatever feels good to you, it's something to take note of. There may be qualities, you’ve believed are negative parts of who you are. And let me tell you, girl - God does not make imperfect. Look at those things you might even feel bad about or judge in some way or feel judged about. One example I can give you personally is being sensitive. I grew up hearing I was too sensitive. Ouch. There is no such thing. Let me tell you that it took a long time for me to understand that my sensitivity is one of my very special gifts. You’re not going to figure all of this out in one day. There are these more obvious qualities you have and then there's the things you're going to discover over time by being in life and taking action, learning more, giving life to ideas and inspirations, having new experiences, aligning with your heart, not with old thinking that tells you you should be doing something. It's what pulls you. It’s not always what pushes you. I couldn't believe the things I never thought much about were the exact qualities that help me successfully coach women. It's a process. Find a few superpowers to start with now and that's all you need, just a couple that you're willing to own. And then literally wear them like a big superhero emblem on your chest. Or the perfect being, knowing that’s who you already are. Knowing [these] simple qualities and characteristics about you is actually what makes you more of who you are and that is perfect. Write down your skills. Here's the time to acknowledge all the things you've learned - your skill set. Some of these may overlap with your qualities. Those superpowers you have, but there are things you've learned that might look a little different. When you're finding your life purpose, let's not leave any stone unturned. For now, write down every skill you have and then circle the ones you enjoy doing. It’s an important differentiation. Write a mission statement of your values. What's important to you? Start forming concepts to this by asking yourself not just the what. Go beyond the what you think you want. Write about why you want it. Why do you want to help people? Why do you love sharing skills that you have or the things that come natural to you? After you've taken all three of these steps, it's time to write your personal mission statement. Once you have all of your bullet points of what you're naturally good at, what you love to do, how you love to help others in specific ways - let's put it all together in to one or two paragraphs. Who do you want to help with these and why do you want the results this vision of helping people could provide for you? Your mission statement helps you see it, to own it, and share it. You can devote a whole day, an hour a day, 15 minutes a day, but devote time, block it out in your calendar. Not only are you important but finding your life purpose is important. Trust me when I say the world needs you to be being and doing you. The more that you are aligned with who you are, this awareness begins to guide you. It inspires you. It literally gives you instructions on what to do next. You don't need to know how things are going to work out or what actions you plan on taking every day for the next month, so you end up in a certain place. I use a technique, it's a common coaching technique, called ‘reverse engineering’. We think of where we want to be, usually in 90 days, and we work our way backwards. So, we just focus on the small stuff that we need to be doing in order to get to the big stuff. This step of really owning who you are, writing your mission statement - we’re not talking about the reverse engineering, in having to know how. There's going to be more meaning and more guidance and direction in doing the why, why it's important, and who you really are. That's going to get you into alignment so that you get to that place. There needs to be room for inspiration and I feel if you get to your why and the who - really what's important to you - then you’re living life with purpose. Get into action. Now is the time. I want you to let go of whatever you think you're supposed to do or should do and try to do things that you're interested in, just different things you're interested in. Like I said at the beginning of this episode, in the beginning of this section of the episode, there's usually not one end-all be-all solution [to] getting out of your head, listening to your heart and your inspired thoughts. Pay attention to things and then commit to taking micro-actions. Have courage to connect with other people whether they are your clients or people [who] not only who do something similar to what you're thinking about, but who enjoy it. And have experience of their enjoyment of it, to share with you. If someone's in an industry you're considering and they're not happy, they’re jaded for some reason, don't bother with them. You have your own critical thinking. Find people who are actually happy and listen. When they tell you the pros and cons things to look out for— Every industry has pros and cons. No matter what you do you can fail. But no matter what you do you can succeed. You can always be a trailblazer. I find that to be even more important than doing what works and what fits for other people. One thing I find, by seeking people who seem to be on a level of enjoyment in what they do - they’re living more purposeful lives, they’re doing something that they really love - they can see things realistically. They see pros and cons, and they're willing to talk to you. It's this concept of, if we had all our problems, we took all of our problems, [and] we were in a room full of people with all their problems and we all put them into the center of the room. As much as we sometimes hate the problems we have to deal with at times in our life and we’re like, “Why me? !”, that whole thinking can set in - we would most likely pick out of that pile our own problems. We would rather have things that feel in alignment with us, whether we want them or not. If we had to pick out of everyone else's problems, out of the center of the room, we would pick our own stuff up, because it's really what's helping us be who we are. If somebody's in an industry you're interested and you’re hearing them, their experience, they really enjoy it, they’re coming from that perspective, they resonate on a level that is uplifting - overall, when you hear the pros and the cons you can kind of hear it in a different way. Like, does it resonate with you? Is it something you can see yourself dealing with or overcoming and walking through and finding solutions to those challenges? Now once you have an idea, knowing that you’ve taken some action - and taking action can be the hardest thing to do, but when you can do that one thing, you can take just one extra action, or do one thing today, schedule an appointment to go check something out - you'll absolutely get information you need to know your life's mission. And now that you have formed more of a clearer picture of this - you know who you are, what you're good at, your superpowers, why it's important to you - you have an idea of why you are really here, because these are your values. This to your mission statement. Bring your life purpose into the rest of the world. Commit to something once you figured it out, knowing it could just be chapter one. Commit to it for one year. Don't fall into this trap of thinking, “I have to quit my full-time job now or I won’t be able to do this. Don't think that you need to buy into a business or invest in an opportunity. Invest in yourself. Invest in your education or possibly invest in people to help you carry out your vision. A graphic designer maybe or legal advice or a business coach, do what you can on your own. You don't need to do what's working for someone else. This is very important in doing your life purpose. Learn as much as you can about you and what's important to you and go deeper with that. Go deeper with what feels good to you. You'll get more information. Stay with it. See where it leads. I want you to remember now, because here you are, you’ve gotten to this place, you’re going to take action, you’re not going to let that fear of failure or taking the “right” action get in your way of just being in motion. Once you're in motion you're going to get information, but you're also going to have ups and downs. It's a thing of life, but in entrepreneurship and growing your own ideas and putting sunlight and water and blossoming these beautiful seeds, of going deeper, like growing those roots - this is what's important to me. And I am committed to bringing this to the world. I may not know how I'm going to do this, but I trust that as I take these inspired actions, it's going to get me there. Trust me when I say you will have bad days. You will have days where you're hitting walls and everything goes wrong. I have an episode on that too. I don't know what number it is… But you will find that, when you just wake up on the wrong side of the bed - and it’s going to happen whether you’re working for somebody else or you're spending time working for yourself - don't ever let frustration take you out of the game. It is so good to rest, but once you've recharged come back to it with a fresh perspective, knowing why something is so important. Having that mission statement and all of this content that you've created for yourself, who you are, and you’re really connected to it - it's going to help you in doing that, and not just giving up and walking away. Because this is something that can happen. I find that the inconsistency or the fear of failure, maybe, it just creeps back in and maybe things aren't working. It’s just kind of easy to toss in the towel, but don't ever do that. Resting is crucial. It helps you actually tap into your creativity and it's just as necessary as the action. I know for me, I like to be in action. I like to be in motion. It's hard for me to be in a creative process and stop and take time out and do things that are also equally important. You have moments like that too and trust me connecting and being present is just as, let’s call it productive if you need to, but it's just as important. What happens is you come back to things with a new perspective and new inspiration. Sometimes when I'm in that other time, the rest time or the being present with others, I get the most amazing idea. So, it is really important to do what's right in front of you, and make sure you're comfortable with saying “No” to the things that you feel like you're supposed to be doing, or your responsibilities. Only do things, moving forward, that really are important to you. As you get more aligned with your life purpose, things will get more clear on that subject. It's just a time now to focus on what makes your life meaningful. Don't fill it with things you don't have to. And really question that “have to” concept. Because you have your life purpose, you have this mission statement, consider how you can make a commitment to your humanitarian effort. It helps your vision and your mission grow. Just focus on that more bigger picture thing. I’m going to take this all just a bonus step further. Can you see a way for this idea to grow or is there a definitive ceiling that caps your height of success? Before you go too much further in this, consider taking your heart’s desire and making a great profit with it. Be sure you can scale it. When you grow and you make more money, you have the power to help others and do even more good in this world. When you consider your why and how you can make this a profitable business, what would you do to give from that to humankind and help make our world a little better? We can always help somebody no matter where we’re at in life. But [when] we've successfully created the life of our dreams, it puts us in a better position to make the whole world a better place. But I want you to just open your mind to the possibility of unlimited growth potential and how you might be able to scale this idea. I feel like that is a very important part of your foundation, and as you're moving forward and getting into alignment with all of these things. You know what's important to you. You're going to stay focused on that, knowing this is chapter one. You don't know how it's going to work, you’re going to trust inspirations, you're going to take action based on inspired thinking and what's right in front of you, what's the next thing to do. You're just going to have the courage to do that thing. You're starting to really consider the possibility of helping more than just a small community. You're considering, “How can I bring this to the world, or take my idea and the values that I have and help in a way that is also purposeful? It means something to me.” So, I really just want you to wrap your head around that. All of this is going to lead you to finding yourself, one day, in really meaningful work. And once you have done whether it's each step or it's at the end of the five steps, remember please come back share what you’ve come up with. Share any struggles you're having with it. You really don't know how our like-minded community can help you leverage your work and support you to share it with others, and new clients, and make it more visible, more of a reality. This isn't going to happen overnight, but it's also not going to be forever. So, I want you to really remember this time frame of, let's say six weeks, five to six weeks. So, you have one week writing on those first three steps we talked about - your superpowers, your skills, your mission statement. Block out time in your calendar, it’s so important. This is your work now. You're blocking out time. You're not just thinking it might be nice. All of this is doable whether you're working full-time, whether you have four kids or no kids, whether you have motivation or you don't. You're blocking out time, you’re making a promise to yourself, and your taking actions within that frame of time. So by the time, you know, you’ve done a week on the first three steps, and then maybe you take let's say a month, four weeks, on step four and getting into action - and we’re going to just put on one more week - because now I really want you to be in action. It doesn't have to be 40 hours a week. It can just be actions that you're taking each day because you've blocked out an hour of time. If what you have connected to is meaningful enough, you won't find that very hard to do. Again, I want to remind you there are things you “should” be doing that you really don't have to. And then there's things that are important enough to you and you’re going to make the time. It is something that you will want to do the more you’ve connected, and you’re really aligned with that purpose, that why. So, then you're going to be in action, and trust that you’re going to get the information you need to know what to do next. You don't need to know the whole picture. If you want to know the whole picture, you just get in touch with me, we’ll do a couple coaching sessions. We’ll come up with a 90-day plan. I really cannot wait to hear what your life purpose is or where you’re struggling with this, so I know maybe what to focus on and what to bring you in another episode. Again, I will be talking more about your unlimited growth potential. I am so excited for you. I cannot wait to hear your experience with this and hopefully your ability to let go of this idea of perfectionism or the fear of failure. Let me know and let us all know how we can support you. Thanks so much for listening. 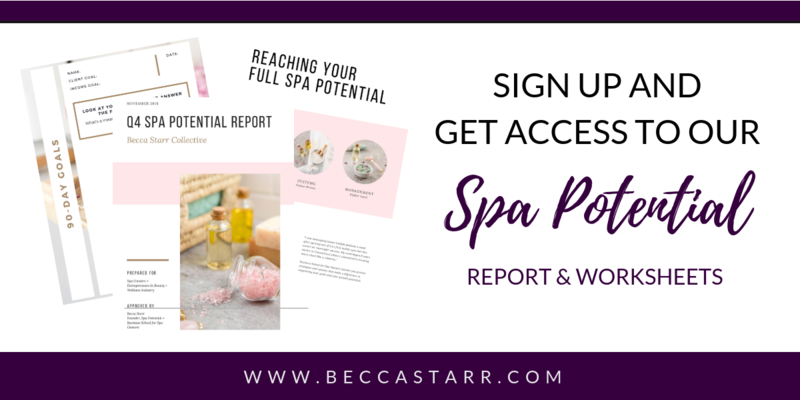 To access everything, you need to get to your workbooks and Ultimate Guide full package go to www.BeccaStarr.com/missionstatement. It will be at www.BeccaStarr.com/missionstatement. Thanks so much for listening. Have a beautiful day.